Today we feature a guest post from our colleague over in the law school, Aaron A. Dhir, who is an Associate Professor at Osgoode Hall Law School and a Senior Research Scholar at Yale Law School. Aaron's book on boardroom diversity is out next month and it is causing quite a stir. So we asked him to tell us a little about the issue of diversity quotas on boards and why, despite the controversy, his research suggests that it might be a good idea. The lack of diversity in the governance of business corporations is quickly becoming one of the most discussed topics in corporate governance. It has ignited a heated global debate, leading policymakers to wrestle with difficult questions that lie at the intersection of market activity and social identity politics. 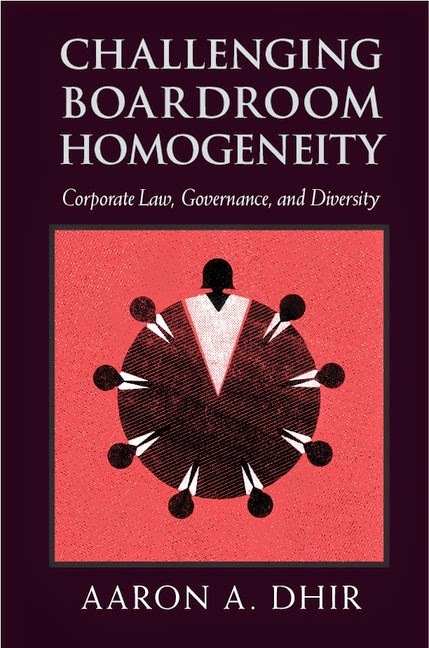 My new book, Challenging Boardroom Homogeneity, will be published next month by Cambridge University Press. In it, I draw on semi-structured interviews with corporate board directors in Norway and documentary content analysis of corporate securities filings in the United States to empirically investigate the two main regulatory models designed to address diversity in the boardroom — quotas and disclosure. In this post, I focus on quotas. While quotas are anathema in the United States, their presence in Europe is striking. In their most potent form, quotas mandate particular levels of gender balance in the boardroom. Countries such as Norway, France, Italy, Iceland, Belgium, and (just last month) Germany have all taken this path. In Germany, both genders must constitute at least 30 percent of the supervisory boards of specified German companies beginning in 2016. In Norway, non-compliant firms run the risk of court-ordered dissolution. Little is known about the day-to-day operation of corporate quotas around the world. To fill this void in our knowledge, I interviewed Norwegian corporate directors about their experiences under Norway’s controversial law – the very first quota on the books. The participants in my study included men and women, as well as directors appointed before and after the law came into effect. A strong majority of the directors I interviewed supported the law. The dominant narrative my interviewees conveyed was that quota-induced gender diversity has positively affected boardroom work and firm governance. Generally, respondents emphasized the range of perspectives and experiences that women bring to the board, as well as the value of women’s independence and outsider status. They also stressed women’s greater propensity to engage in more rigorous deliberations, risk assessment, and monitoring. But even if diversification has positive effects on company governance, the question remains: Why are quotas an appropriate mechanism by which to achieve those benefits? Some commentators impugn the wisdom of quotas, charging that they stigmatize and marginalize their beneficiaries. As one critic wrote in The New York Times: “women admitted to boards in order to fulfill a quota are unlikely to be seen as equals whose presence at the table is merited.” These critiques must be taken seriously. If the recipients of affirmative action feel isolated, or that they are perceived as mere tokens, how can such measures possibly be justified? Without question, quotas are an imperfect means of diversifying corporate boardrooms and in the book I explore the limitations of the quota model. That said, critics sometimes paint an incomplete picture and seldom ground their arguments in the voices of those who presumably matter the most — those who actually live under quota regimes. What do they themselves say about quotas’ possibly pernicious effects? The majority of female participants reported that they felt comfortable on the boards on which they sat, discussed their contributions to these boards, and confirmed the feeling that their boards recognized or appreciated these contributions. Though their stories are complex, most characterized the quota as a positive vehicle that had democratized access to the upper echelons of the corporation — a space previously closed to them. This suggests that the benefits of the quota law have outweighed any stigmatizing costs, to the extent that these costs have materialized. Some critics may suggest that these results are self-evident – of course the beneficiaries of quotas will support the measures that opened up the otherwise closed doors of the boardroom. The reality, however, is far more complex. Most directors, including women, were initially opposed, hesitant, or agnostic about quotas. It was only after seeing the law in action and directly experiencing its effects that they eventually came to endorse it. A significant degree of the support ultimately stemmed from the view that the law was necessary to diversify boards in a meaningful way. For some directors, this acceptance of quotas caused them to question their own deeply held beliefs in free market principles. There are many difficult and unresolved questions about the value and effects of quota laws. Whether a quota is appropriate for a given country will depend on that country’s socio-political context, its corporate governance culture, and characteristics particular to firms and industries. As policymakers around the world wrestle with these issues, however, it will be important to draw from the experiences of those who have lived under quota regimes. These narratives give us reason to believe that quotas are worthy of careful public policy consideration. This post first appeared (in modified form) on The Faculty Lounge. 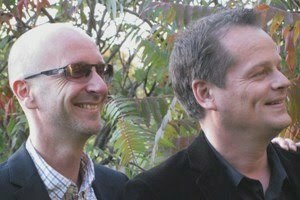 My sincere thanks to Andy and Dirk for inviting me to contribute this guest post to the Crane and Matten blog. Aaron A. Dhir, Associate Professor, Osgoode Hall Law School & Senior Research Scholar, Yale Law School. Has Tim Hortons given up on sustainability? "Making a True Difference" has been Tim Hortons' slogan animating its social responsibility and sustainability initiatives over the past few years. But since they were acquired late last year by Brazilian private equity outfit 3G Capital, the owners of the fast food chain Burger King, the true difference seems to be that sustainability is suddenly in rapid decline at the iconic Canadian coffee chain. The new owners, promising to cut costs and improve performance, have effectively closed down the company's sustainability department. The change has been pretty dramatic. Just last year, the then CEO of the company was saying that their "overall vision for sustainability is to be a leader in the North American quick service restaurant sector and across all sectors in Canada". Already well-known for their community initiatives, the company had upped its game over recent years in a number of key areas including sustainable sourcing, recycling, energy and water efficiency, animal welfare, nutrition, and disclosure and reporting. As a result it had made it into the Dow Jones Sustainability Index, Corporate Knights magazine's Global 100, the Carbon Disclosure Project's Leadership Index and various other best-of sustainability lists and rankings. The company was far from perfect, but it was clearly making progress. Since the turn of the year, however, a lot has changed. The new owners have instituted swingeing cuts in personnel in order to institute "efficiencies", just as they did at Burger King a few years ago. As is so often the case, sustainability and responsibility has been one of the first areas to feel the heat. In addition to jettisoning the dedicated sustainability team, the company appears to have also cut the budget for various corporate responsibility initiatives. There's not much sign of a company aiming to be a sustainability leader any longer. Not unless you think Burger King is a leader that is. So what to make of the changes? The are at least two things worth noting. 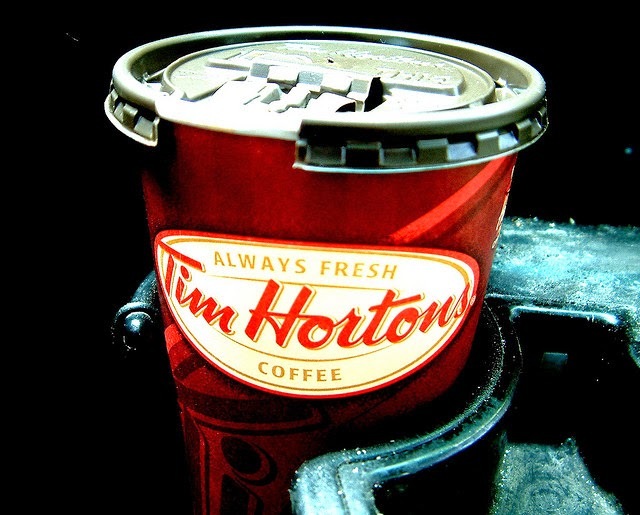 First, it seems like the new owners are convinced a lot of Tim Horton's sustainability initiatives were simply not adding value to the company - or at least not to the share price. This is always a major issue for sustainability champions to address, but is typically tricky to prove either way. Still, the swift move to cut the whole department hardly suggests a careful financial evaluation from the new owners either. 3G Capital seem to be operating on gut instinct (or maybe just ideology) much more than evidence when it comes to the financial value of sustainability. Second, the quick serve market is increasingly being bifurcated into higher end 'gourmet' brands like Chipotle or Starbucks that see sustainability as part of their superior quality proposition to customers and lower end brands like Burger King or KFC that focus more on price and so seek to minimize the costs of sustainability. The new owners probably saw Tim Hortons as somewhat stuck in the middle (much like McDonald's have become), and have elected to head down the low-end route in order to maintain their strategic focus. This certainly makes some sense from the perspective of competitive strategy, and could see the company pulling back from a lot more than just sustainability as it reins in its costs across its operations. If so, we can expect to see simpler menus and a back to basics approach after a recent period of experimentation with higher end fare. However, if this is the way they want to go, you would expect to see more, not less, attention to the costs savings that sustainability initiatives can bring through more efficient resource utilization. As Wal-Mart has shown, sustainability can also very much be part of a low cost strategy. All told, things don't look for good for sustainability at Tim Hortons. Although some firms can manage sustainability well with just one or two core staff by integrating responsibilities within other parts of the business, Tim Hortons seems to be more intent on stripping it down as far as possible as part of a broader strategic reorientation. However, there is at least a slither of good news for sustainability enthusiasts in all this. As part of the cutbacks, the new owners have also put the company's private jet up for sale. Welcome to the Crane and Matten blog - for informed commentary and expert analysis on the everchanging world of corporate responsibility. We are two business school professors best known for our books and research articles on business ethics and corporate citizenship. We wrote the Crane and Matten blog from 2008-2015, offering unique insight on a range of issues from across the globe. Andrew Crane is Professor of Business and Society in the School of Management, University of Bath. Dirk Matten is the Hewlett Packard Chair in Corporate Social Responsibility in the Schulich School of Business, York University. Lessons in politics from Starbucks: sign of the times or storm in a coffee cup? Universities and global climate change - a case of organizational hypocrisy? Marketing, morality and the natural environment, by Andrew Crane. Published by Routledge. Copyright Andrew Crane and Dirk Matten. Awesome Inc. theme. Theme images by Bim. Powered by Blogger.